Please note the below order is only calculated for 300 days from the first date selected. If you require any assistance with your order please contact our support team. Are you looking for an effective and trustworthy antimalarial treatment for your travels or holiday abroad? 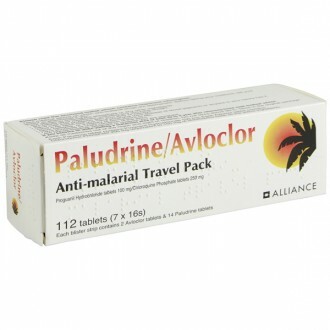 Doxycycline capsules are an effective antibiotic treatment for preventing malaria in at-risk areas whilst travelling. This treatment can be purchased from The Independent Pharmacy’s Online Doctor, after a free online consultation with no prescription needed. Don’t hesitate – buy your antimalarials with us today and start a consultation online. 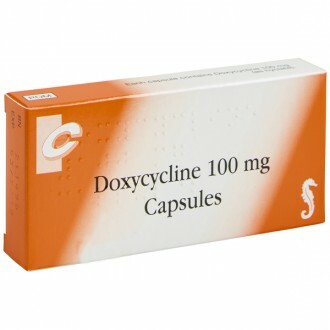 Doxycycline 100mg Capsules are available to buy from The Independent Pharmacy Online Doctor service, following a free consultation, to help prevent malaria. 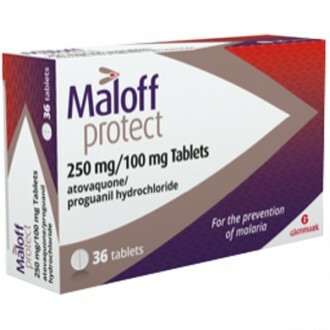 To find out more about malaria and see all the available treatments, see our Online Doctor Malaria page. Doxycycline is an antibiotic. It has multiple uses as an antibiotic, ranging from chest infections to acne. However, it can also be used to prevent and treat Malaria. Is it the appropriate treatment for your destination(s)? My medical history – current conditions & medicines. Have you had Malaria prevention treatment in the past? The Malaria parasite is carried by Mosquitoes and passed onto humans through their saliva when they bite. Not all Malaria parasites are the same, in fact there are four distinctive kinds. Certain drugs will be effective against one kind but ineffective against another, which is why opting for the correct treatment is imperative. 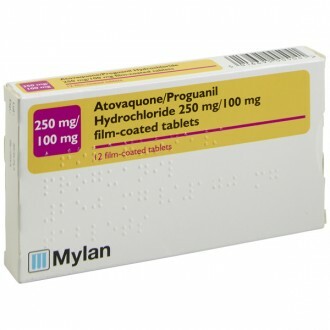 For Example, Thailand recommends ‘DOX’ (Doxycycline) or ‘AP’ (Atovaquone/Proguanil aka Malarone). This means we known the strain of Malaria present in this region isn’t resistant to Doxycycline or Malarone, making these two options the appropriate choices. You can check the malaria requirements for your desination using our Interactive Travel Map – just select your destination to get all the travel health information you need for your trip. When it is being taken for the prevention of Malaria, Doxycycline is used in its own. Doxycycline prevents the development of the Malaria causing parasites in the blood. This means that if you are bitten by a mosquito infected with Malaria, the parasite will be destroyed before it has the chance to replicate and cause infection. How much Doxycycline will I need? You start taking it 2 days before you enter the malaria area. It’s then taken for the duration of your stay and continued for 4 week after departing. So, if you’re going away for 2 weeks to a country or region where Doxycycline is recommended, you’ll need 44 capsules. When Doxycycline is purchased from The Independent Pharmacy Online Doctor, we do all the maths for you – all you need to do is select your trip length and we will do the rest! Doxycycline is taken once daily. It needs to be started 2 days before travel and continued for 4 weeks after returning. Pharmacist Tip: Doxycyline is not suitable during pregnancy or breastfeeding. Any side effects experienced can usually be helped by taking the capsules with or after food. Doxycycline can make your skin more sensitive to sunlight leading to sunburn and it reduces the effectiveness of contraceptives, so be sure to take adequate care during and after the course. Use insect repellents containing 50% DEET; these are the most effective repellents. Apply them to all exposed areas of skin and reapply frequently to prevent mosqutio bites. Using mosquito repellent containing DEET. Using a mosquito net treated with insecticide while you are sleeping. 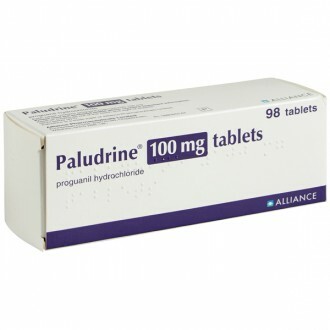 Patients can also buy doxycycline online for the treatment of chlamydia. You should take one capsule every day at roughly the same time each day. Doxycycline needs to be taken two days before entering an area where malaria is present and continued until four weeks after leaving the malaria area. You should take Doxycycline with or after food and with a full glass of water. Doxycycline remains effective with a small alcohol intake. The most significant and noteworthy side-effect is an increased sensitivity to sunlight. Considering that Malaria risk countries tend to be tropical or hot climates then for most cases the sun’s blistering rays can easily become an issue. Using a very high factor sunscreen (Spf50+) is highly recommended. Also, be sure to pack protective sunglasses as even the eyes can suffer from this increased sensitivity. Please read the Patient Information Leaflet enclosed with your medicines for a full list of side effects. If you experience any adverse effects from taking your prescribed medicine it is important to let us know immediately. Please log in to your online account and message one of our healthcare professionals or alternatively call us on 0117 971 1603. In a medical emergency you should contact the emergency services or go straight to your local Accident & Emergency. The active substance (the ingredient that make the capsules work) is doxycycline hyclate. Each capsule contains 100mg of doxycycline hyclate. The other ingredients in the capsule are sucrose, maize starch, crospovidone, polymethacrylate and talc. The capsule shell contains gelatin and the colourings E171, E132 and E172. The white printing contains shellac, propylene glycol, ammonium hydroxide, potassium hydroxide and the colour E171. You should try to avoid taking Doxycycline around the same time as foods or supplements containing high levels of calcium, iron or magnesium as this can reduce its effectiveness. This particularly applies to dairy products. Doxycycline is not 100% effective at preventing malaria, however it is still very effective if taken properly and combined with bite avoidance methods. Remember to always wear high factor sun cream or protect your skin from direct sunlight whilst taking Doxycycline. Severe sunburn can be extremely unpleasant and even dangerous. It is also important to get the correct vaccinations for your trip before you travel. These should be administered around 6 weeks before you leave. Malaria can take up to a year to develop after you have been bitten. If you experience symptoms including headaches, night sweats and abdominal pain any time during your trip or up to one year afterwards you must see a doctor as soon as possible. Stop taking your medicine and tell your doctor immediately, or go to accident and emergency if you notice any of the following symptoms. Although the symptoms are very rare, they may be severe. Symptoms of an allergic reaction - sudden wheeziness, difficulty in breathing, chest pain, fever, sudden swellings of the face, lips, tongue, throat, hands or feet, rash or itching (especially affecting the whole body), pericarditis (inflammation of the membrane surrounding the heart), worsening of systemic lupus erythematosus (autoimmune disease). Severe skin reactions such as erythema multiforme (circular, irregular red patches), Stevens- Johnson syndrome (rash with flushing, fever, blisters or ulcers), toxic epidermal necrolysis (reddening, peeling and swelling that resembles burns). Penicillin antibiotics (used to treat infections) Rifampicin (used to treat tuberculosis) Anticoagulants (used to thin the blood, e.g. warfarin) Quinapril (used to lower high blood pressure) Kaolin (used to treat diarrhoea). Sucralfate (used to treat and prevent stomach ulcers). Oral contraceptives (“The Pill?). This medicine may make the oral contraceptive pill less effective. You should use additional contraceptive precautions whilst taking this medicine and for 7 days after stopping. Barbiturates (strong sleeping tablets, e.g. phenobarbital). Ergotamine or methysergide (used to treat migraines or headaches). Typhoid vaccine (used to prevent typhoid fever if travelling to infected areas of the world). Carbamazepine, phenytoin, primidone or other drugs used to control epilepsy. Ciclosporin (used to affect the body?s immune response following organ transplants). Methoxyflurane (an anaesthetic). If you need an operation, tell your doctor or dentist that you are taking Doxycycline. Methotrexate (used to treat cancer, psoriasis or rheumatoid arthritis). Medicines such as antacids (indigestion tablets or liquids) containing aluminium, calcium, magnesium or other medicines containing iron, bismuth or zinc salts, should not be taken at the same time as your medicine, as absorption of your medicine may be reduced. Retinoids (used to treat various skin conditions). Need to know more about Malaria Prevention? You start taking it 2 days before you enter the malaria area. It’s then taken for the duration of your stay and continued for 4 weeks after departing. So, if you’re going away for 2 weeks to a country or region where Doxycycline is recommended, you’ll need 44 capsules. 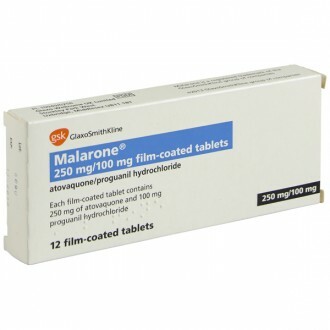 This medication is used to prevent malaria in travellers to malaria-endemic areas, and for four weeks after leaving. Doxycycline can also be used to treat cases of malaria, along with other medications. Doxycycline is an effective chemoprophylaxis antimalarial treatment. It should be used alongside mosquito deterrents like DEET. Together, they provide a strong defence against malaria. Can Doxycycline cause bad dreams? There has been no study or evidence to suggest that Doxycycline can cause bad dreams or nightmares. 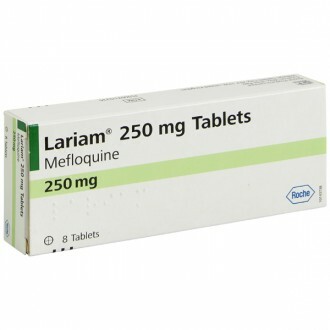 However, if this happens to you, seek the guidance of your GP.There have been documented reports of this type of side effect happening with a different antimalarial called Lariam or mefloquine. Which countries pose a malaria risk? Before you set off on your travels, you should check with your GP, travel nurse or online service like fitfortravel.co.uk to see if your destination poses a malaria risk. Some countries that regularly pose a risk of malaria include Cambodia, India, Brazil, Mexico, Colombia, and many countries in Africa. However, there are some areas within these countries that do not pose a threat. The more specific you can be about your travel plans, the better, as you may not need anti-malarials. Can you take Doxycycline when pregnant, or breastfeeding? Consult your GP before taking Doxycycline when pregnant or breastfeeding. Can I drink alcohol when taking Doxycycline? Yes, you can still drink when taking this medication. However, it is advised that you do so with care and moderation. Do travellers on stopovers need antimalarial treatments? Many stopovers are in urban/tourist areas and pose a minimal risk of catching malaria. However, to find out whether you need antimalarial treatment, you must establish where your overnight accommodation will be. If you stay in a high-risk area, even for one night, you are at risk. Can Doxycycline affect oral contraceptives? 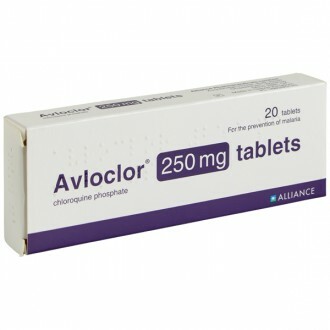 Female travellers who are taking the combined oral contraceptive should use an additional method of contraception when taking Doxycycline treatment. Doxycycline may reduce the efficacy of combined hormonal contraception. You should use Doxycycline for 3 or more weeks to allow your colonic bacteria to recover before you stop using the additional contraceptive method. What antimalarial treatment is best for patients with epilepsy? Chloroquine and mefloquine are not suitable for epilepsy. Doxycycline can be an effective alternative.